Nonprofits typically must file articles of incorporation and other documents with the state to officially form nonprofit corporations, and nonprofits also have the option to create bylaws to govern their operations. If your nonprofit's articles of organization or bylaws address dissolution, you must follow the processes identified in those documents. Your grant policies, loan documents or donor agreements might also contain restrictions or directions for your nonprofit's dissolution, or your state's laws may address dissolution. 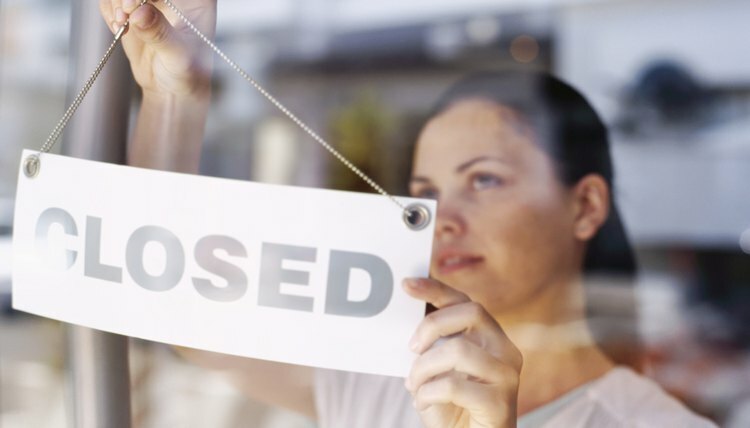 Before you can dissolve your nonprofit, your nonprofit must first make a formal decision to close down. Your articles of incorporation or bylaws likely identify what group of individuals, such as officers or a board of directors, have authority to make a dissolution decision. The dissolution decision may be made informally first, but it typically must be finalized at an official, documented meeting. In nonprofit membership organizations, for example, the board makes a dissolution recommendation to the members who then must approve the dissolution. Your nonprofit must create a plan to close down, allowing an orderly, legal dissolution. It is typically a good idea to formalize your plan in a document that you and the rest of the nonprofit's personnel can refer to throughout the closing. Your plan can include details of how your organization's assets are to be distributed, how your organization will preserve its legacy, how the closing will be announced and who will take care of final legal filings. The details of each section will vary based on what type of organization you have, how big it is and the reason for its closure. Once your organization has created its dissolution plan, you may want to have it approved by the board or the nonprofit's members to ensure it has the organization's support. Then, it is time to implement the plan. Assigning a deadline to each plan element can help your dissolution proceed without unnecessary delay. It may also help to document the process so you know what steps you have completed and what steps you still have to take.